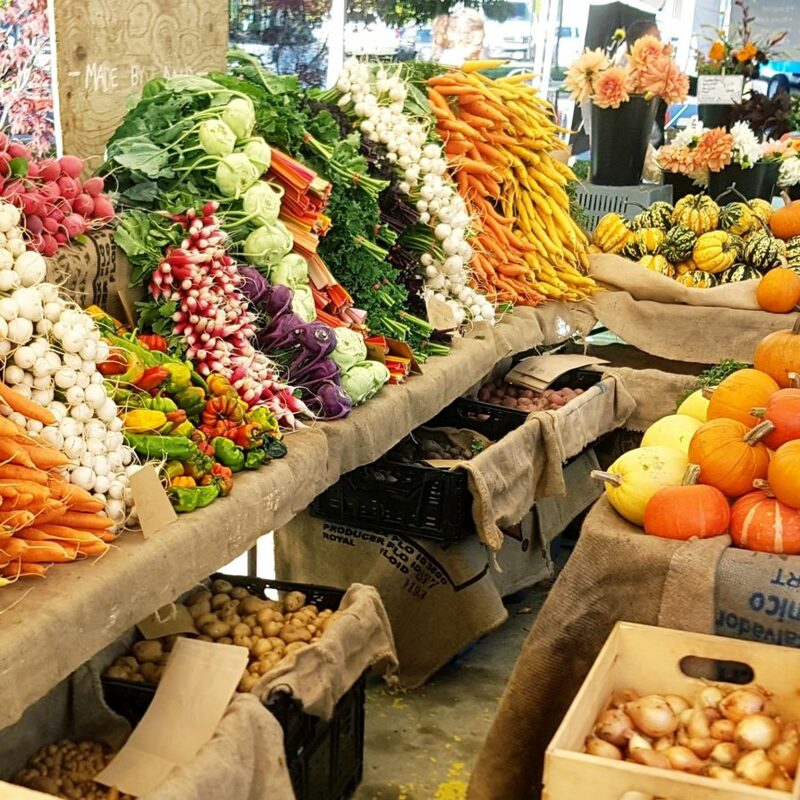 Enjoy an unlimited selection of organic produce throughout the season! Simply select your number of weeks, choose your desired pick-up location, and visit us each week to fill up your shopping bags with whatever you need and hear all about what’s happening on the farm. Pick up locations and additional info below. Select your desired number of weeks. 5% off for shares purchased before April 1st! As part of our Community Supported Agriculture (CSA) program, Salt & Harrow Farm has a more dyed in the wool way of doing things. One price, all your food. Our members purchase a discounted “share” of the farm, early in the season, and are in turn provided with a full choice of an unlimited amount of certified organic produce each week. Yes, you read that right, our members can choose any and all of the veggies they want each week! Pick-ups are at our Farm in French Creek or at your local farmers market in Vancouver or on Vancouver Island. Join us this season to fill up your shopping bags with fresh organic fruit & vegetables, share new recipes, learn about how and what we grow, and hear about all the ups and downs of the farm. 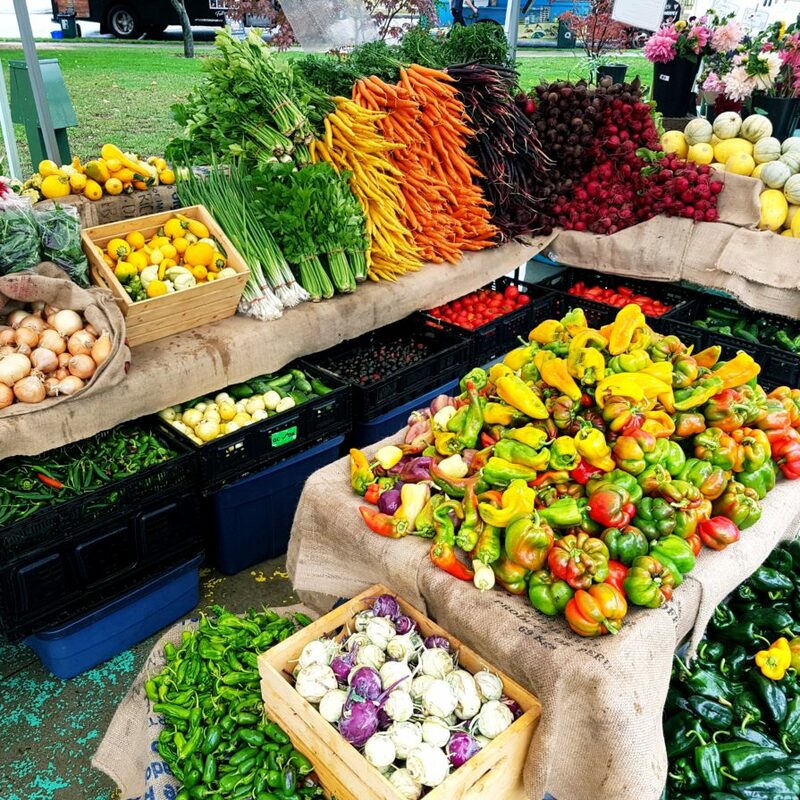 Our CSA program runs year-round (food for a whole year!) and can be purchased in increments of 13 weeks (12 weeks of food, 1 week off), up to the full year. A full share, for example, would have 48 weeks of veggies, two weeks off over the winter holidays, and your choice of 2 additional weeks off during the year. We offer pick-ups at our markets in Parksville, Qualicum Beach, Nanaimo, Vancouver, and at our farm store in French Creek. Please note that winter pickups are only available at the farmers markets in Vancouver and Qualicum Beach. Every member will also receive Salt & Harrow Newsletters, featuring recipes and Field Notes written by our farmers about what is going on at the farm and around the community. We grow a limited number of certain specialty items just for our members and there will be times of the year when we will have an abundance of produce, perfect for canning and freezing. We only ask that our members share the bounty with each other in taking what they need and not what would be wasted. There is a 5% discount on shares purchased before April 1st but memberships can be renewed throughout the year at regular price for those who did not select a full year’s share before that time. We grow over 50 varieties of vegetables throughout the season, enough to keep you with a full belly year round! You can find out what’s in the share here. We offer payment plans for those who need to spread out the payment over a few months. If you’d like to set up a payment plan or to pay by cheque or e-transfer please call 250-240-0802. Our shares are available on a sliding scale for people receiving a minimum income or no income. If you’d like to set up a share plan please call 250-240-0802. For those who feel they can’t commit to the farm for a full share, we also offer a customer loyalty card. Customers can use the card at any of our farmers markets and, by purchasing upfront, you will receive the same 10% discount. Find out out more here.